Lucy has 20 years experience creating, collaborating, developing and performing as an actor and classical singer. Her approach to text is as meticulous as it is to music, seeking to communicate an immediate and honest performance that is live and relevant. Over the last 6 years Lucy has developed a performance style in which she coalesces her classical contralto with her spoken voice. In Ethel Smyth: Grasp the Nettle and Kathleen Ferrier Whattalife! pianist Elizabeth Marcus provides a sound world, where music and spoken word seamlessly weave into and out of song, heightening the intensity and sentiment of both. Shakespeare in Song dovetails Shakespeare’s songs with spoken poetry from his plays and sonnets. 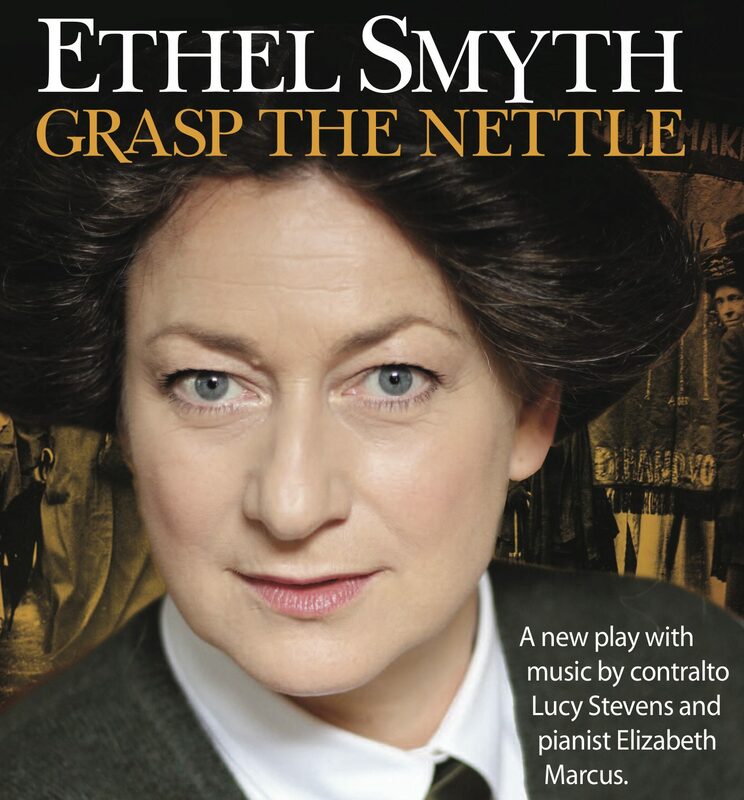 Ethel Smyth: Grasp the Nettle This is the story of Ethel Smyth, composer, writer and activist, and her personal conflicts, triumphs and relationships – told in her own words and compositions, in a flowing fusion of drama and music. She was the first woman composer to be performed at the Royal Opera House, Covent Garden and is now acclaimed as “the missing link” between Purcell and Britten. 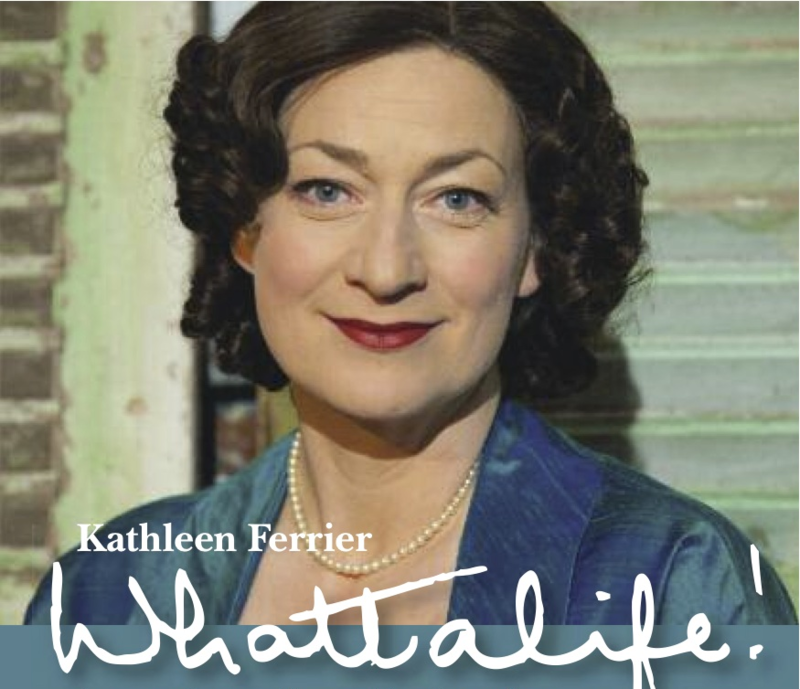 Kathleen Ferrier Whattalife! Tells the story of the great English contralto from her debut as a singer in 1940, through her meteoric rise, to her tragic death in 1953. The text is taken from her letters and diaries interwoven with music from her repertoire. Just like Kathleen during her short but full life, the show has a great sense of fun and talks straight from the heart. 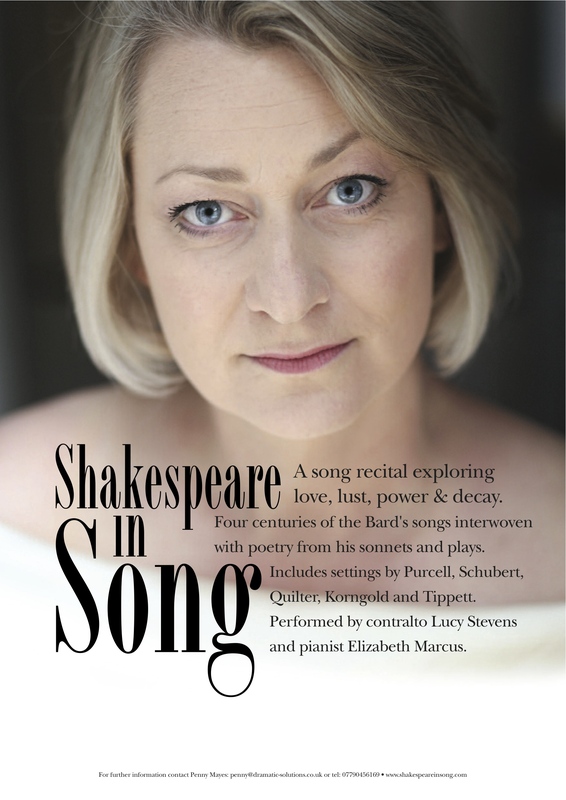 A song recital that dovetails Shakespeare’s songs with poetry from his plays and sonnets. Exploring love, lust, power and decay. Fourteen composers set, over four centuries, songs from Shakespeare’s plays, interwoven with spoken poetry. “Another triumphant performance!! Brilliant singing and accompaniment.” Nick Barnes, Chairman Cambridge The Arts Society, South Cambs.